As coauthor of seven titles in the popular More Than… series and Lessons from Turtle Island, Sally Moomaw, EdD, has a steadfast presence in our catalog of books. 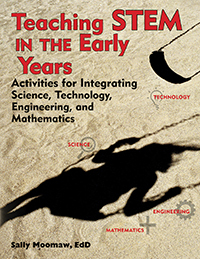 In this month’s Author Spotlight, we talked with Dr. Moomaw about her latest project, Teaching STEM in the Early Years, which features more than 85 activities that support and extend children’s learning in science, technology, engineering, and mathematics. 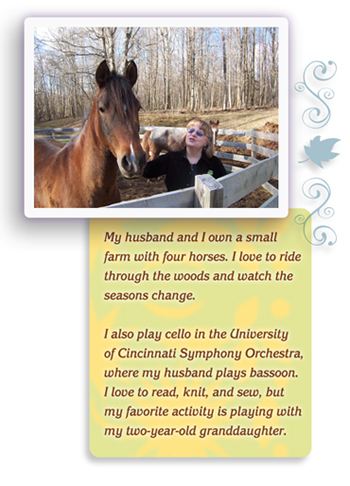 In addition to dedicating much of her research and work to STEM education, Dr. Moomaw is an avid horse rider and a cellist with the University of Cincinnati Symphony Orchestra. Read our Q&A to learn more about Dr. Moomaw, including her thoughts on why STEM is so important in early childhood. Why did you decide to write a book about STEM in early childhood? STEM begins in preschool, where children learn that they can explore and create in the areas of math, science, and engineering. The biggest misconception about STEM is that it begins in elementary or middle school. The lives and minds of preschoolers are filled with STEM-related activities and ideas, often self-initiated. For a long time, curriculum in the early years was heavily centered around literacy. During the last decade, however, educators and political leaders have turned their attention to the importance of math and science education. I believe that informed early childhood educators have become increasingly skilled at integrating curriculum areas, so that learning in literacy, math, science, and the arts often occurs simultaneously. 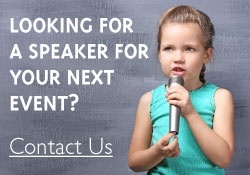 As an assistant professor of early childhood education who has dedicated much of her research and teaching in the area of STEM education, how did your interest in it begin and lead you to where you are now? As a young preschool teacher, I became deeply interested in current research in early mathematical development and how to adapt that information to my classroom curriculum. I was fortunate to be mentored by Professor Anne Dorsey and to work with creative and inspired teachers, including my colleague and coauthor Brenda Hieronymus. I developed an interest in science curriculum as I sought to address what I considered to be a weak area in myself as a teacher. I worked with professors in geology and physics, who helped me develop a more interactive science curriculum based on inquiry. Gradually, as I began to incorporate math and science throughout the curriculum, they became integrated into what would now be called a true STEM curriculum. Children are great teachers, and they mentored me through 25 years in the classroom. There is much buzz around STEM education. Why do you think it has drawn so much attention recently? There is growing awareness that the innovation that fuels the growth of our country requires adults who are skilled in mathematics, science, and problem solving. International testing has revealed that many countries are doing a better job of educating students in STEM areas. This has alerted educational leaders to the importance of improving education in these areas, beginning with our youngest children. Among the four STEM disciplines, do you have a favorite to teach? Do you have a favorite activity from the book? I do not have a favorite STEM area, possibly because I try to integrate all four STEM areas as often as possible. I love working with budding engineers in the block area. As they try to balance their structures, they construct important ideas related to physics, symmetry, and measurement. Perhaps my favorite STEM activity in the book is Geology Shakes. Children love messy activities, where they can assemble and deconstruct their own concoctions. As adults, we have a tendency to devalue activities like these, but they are often the experiences that lead to the greatest learning. In addition to reading Teaching STEM in the Early Years, what can early childhood professionals do to create more STEM-friendly learning environments? Try to make every moment a STEM learning opportunity. No matter where you are in the classroom, there is an opportunity to focus children’s attention on something interesting related to math or science. Follow children’s ideas. If your goal was to plant seeds, and children suddenly become fascinated with earthworms, follow their lead. Don’t be afraid to acknowledge what you don’t know. Teachers and children can and should be co-investigators. Learn more and see a full list of titles by Sally Moomaw.